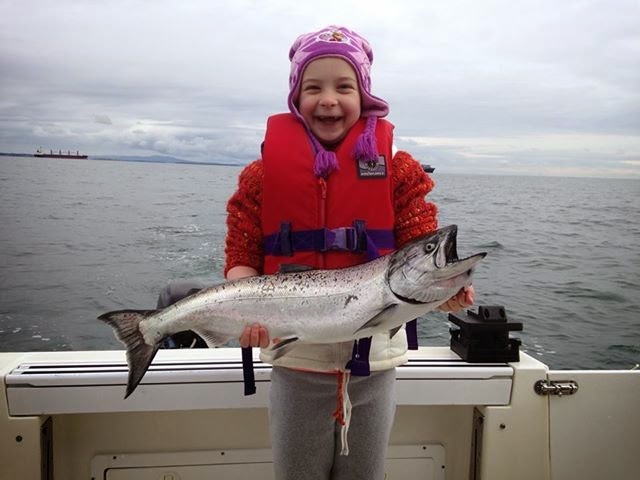 First fish photo of the year ... Gord from Foghorn Fishing Charters had a family day on the water, here's his 8 year old daughter Jordan with a beauty winter spring (resident chinook salmon). Big salmon and a bigger smile! Here's looking forward to a great year's fishing in 2015.